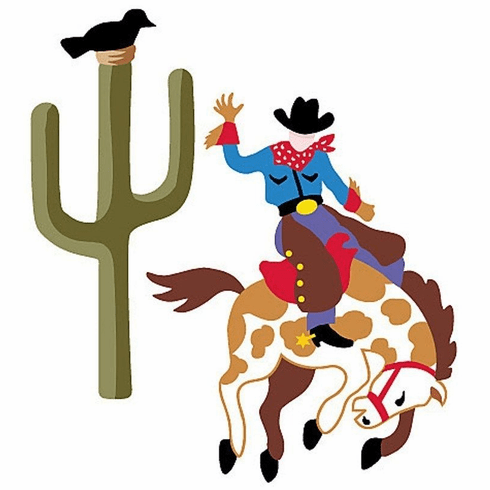 Olive Kids Ride'm Cowbow Wallies Pre-Pasted WALLIES wallpaper cutouts featuring a rodeo cowboy and cactus cideal for children's rooms. Each pack contains an assortment of 25. Cowboy 6 1/2 x 5" Cactus 5 1/2 x 2 1/2"